Mario Licato has a black eye as a result of his resemblance to actor Shia LaBeouf and now has a saved voicemail from the actor himself. In an interview with Cosmopolitan, Licato revealed that the “Transformers” actor reached out to him after hearing about his one-sided fight in a New York City subway station. Licato was entering a subway station on the streets Delancey and Essex when he was sucker-punched by a “white frat boy” who stands at least 6 feet tall. The two minute voicemail entailed an extremely apologetic and “bummed” LaBeouf. For his troubles, the actor had even offered to bring the 26-year-old art director a bowl of soup—but he currently isn’t in New York. 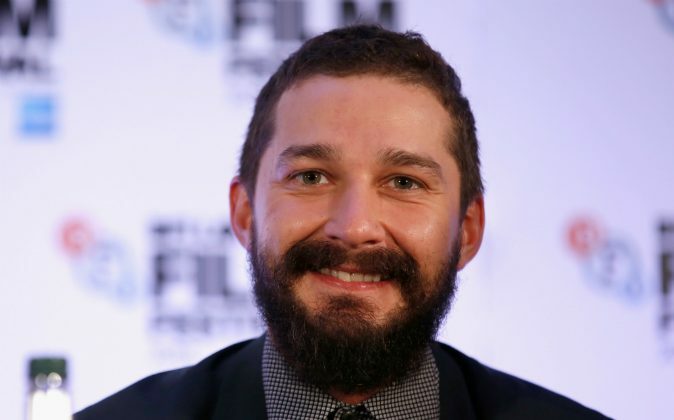 Licato has listened to the voicemail over five times and intends to return LaBeouf’s call. He doesn’t have anything planned out on what he is going to say, but does have a few questions. “I’m going to ask him what he did to him, What did you do to some random bro in New York that he needed to punch me for it? Did you steal his girlfriend? Maybe he just really hated you sitting in the movie theater for three days straight watching your own movies?” said Licato.